Vacationing in a foreign country is wonderful, but it isn't always fulfilling enough. You may visit a new place, completely fall in love with the land, the people, even the food, and want to experience those things on at least a semi-permanent basis. Teaching English as a foreign language (EFL) is one way to do that. Unfortunately, many EFL teachers can find themselves victims of job scams, which can not only cause them to lose a lot of money, but can sour them on the entire overseas experience, causing them to speak out about their negative experiences. Complaints like this are especially frustrating because language instruction can be a wonderful experience, especially overseas. If you decide to pursue an overseas EFL teaching job, be on the lookout for these red flags. It's very rare that you should have to pay any kind of fee for any kind of job, let alone an EFL job. You're the one applying to do the work in order to be paid. Why should you have to pay anything before you get there? Disreputable employers, or scammers posing as EFL employers, will tell you the payment is to cover your travel costs, or for an orientation you must attend before you can begin teaching. Sadly, this very thing happens to many hopeful job seekers. One such story involved a woman who lost $2,500 when she wired money via Western Union for travel costs and rent fees with the promise she’d be reimbursed by the employer. When they received it and then asked her for more money, she became suspicious, and found out it was a scam. Huffington Post columnist and author, Julie Gray, wrote an article about a very similar experience in which she described how even though she considers herself quite savvy, she still fell for a scam. It can happen to anyone. As the instances above illustrate, if you pay that money, you'll likely never see it again. And you’ll still have to cover your travel. Be suspicious of any company that requires payment up front when you apply for a job with them. It's not difficult to find out the average pay for an EFL teacher in your country of interest. That information is available from multiple sites on the Internet, such as EFL businesses, and EFL support sites and forums. Just like most other teachers of any subject, EFL teachers don't go into that career field to become rich. Part of the compensation is the opportunity to live in a foreign country, and to interact with the culture and people there. If an EFL company offers you what seems like an outrageous salary, or one that's much higher than what other companies are offering in the same area, it's probably a scam. Just about anyone can build a Web site these days with just a little know-how and a Web host. In the cases of Internet scams, it's become the equivalent of a layperson hanging out a shingle that claims they're a physician. Fortunately, there are some things to look for that will help you identify EFL scam sites. First, look at the URL. Does it end with an unusual extension you've never seen before? Not to say that all sites with those extensions are questionable, but it's definitely a something to examine a little more closely. Also, is the site well designed? Are there a lot of spelling and grammar errors? Is the domain name unrelated to EFL? Any or all of these factors should tell you all you need to know about that supposed EFL employer. Think about it. You're applying to English schools to teach English. Doesn't it stand to reason that the people who work there would be very familiar with the language, and would have excellent English skills? One or two mistakes are probably nothing to be alarmed about. You can find errors on a lot of Web sites or advertisements written by people for whom English is their first language. But if the materials you're looking at are rife with errors, there's something wrong. It may also help for you to be more familiar with the native language of the country you’re attempting to teach in. For example, if you’re talking with a school in Spain and are worried about the reputation of the program, send out some tweets to people in the area and check teaching groups on Facebook for more information. If you’re rusty on the language of the country, audio-based programs help quite a bit. In this scenario, brushing up on Spanish will help you communicate, be more aware and maybe even help your instruction. What other advice would you give to a newbie TEFLer? Today was a beautiful day in Manchester: the trees are just beginning to add touches of yellow in their edges and the sun battles to provide us with some last warmth. In between classes, I sat on a park bench with a thermos of brought-on-over-from-Germany, sage and honey tea, to reflect on the learning provided in the morning session with our Dutch professor Juup Stelma. He started off the course, Psychology of Language Learning, with one of those very popular psychometric questionnaires. Or, worse, if you've any intelligence then you quickly notice the relationships between the different questions separated out by a few lines and despite the valiant attempt to be "honest and truthful to oneself" you wind up wondering if you may be being tricked (why do we so distrust the psychological) and thus, forced by the pressure and the immediacy laying in wait behind the stopwatch, the demanding YES or NO, you attempt to reply in exactly the same way each time, whether or not it is the "truest" answer. Anyway, the resulting results are that I am a pragmatist-activist. But not surprising news. Of course, I like life and learning to be practical (I'm a teacher!) and to be immediately applicable (tick-tock! ), that's why out of all the MAs in the world, I wound up here, doing this one TESOL with real-life applicable educational and technological aims! Juup then acknowledged the lack of contextual reference presented through the questionnaire and wrapped up the exercise with a drawing made up of stick figures walking across the whiteboard, challenging us to think about what and who we, as people, as learners, interact with and how those things directly influence our learning. The interpersonal and intrapersonal aspects. I'm intrigued by this idea but not sure. In fact, it forces me to mull back over the whole concept of individual learner types - you know the now tossed out, theory of folks being auditory/kinestic/visual learners? (gotta admit I still subscribe in part,as I know I always learn so much more from a picture than a droned lecture) but I actually tried separating out my students this way and it never really worked. Even in the small classes. Noticing was one thing but preparing, presenting, teaching, working together, another. What about you? And what do you do if you're teaching 30 or even 60 as some of my Asian colleagues need to? Apart from the feasibility, is it practical or even worth the effort, to divide up students into theorists, pragmatists, activists and reflectors? Aren't we all different because it is through the cooperation and collaboration of our differing skills that we make the better, more dynamic whole? If we separate our learners into groups, won't they become flat and one dimensional? But then, later, as I walked home, crisping my way through the first batch of dead leaves which rustle in oranges on the concrete lanes, after my class with Gary Motteram, on the Evaluation and design of Digital Software, I began reflecting once more on the infinite potentiality for well-designed computer programs to cater to these issues - whether on the surface level or deep within our id, in areas we don't even know about yet… and how this potentiality may soon be within the reach of technology - to teach and treat each individual learner individually while we work collectively. 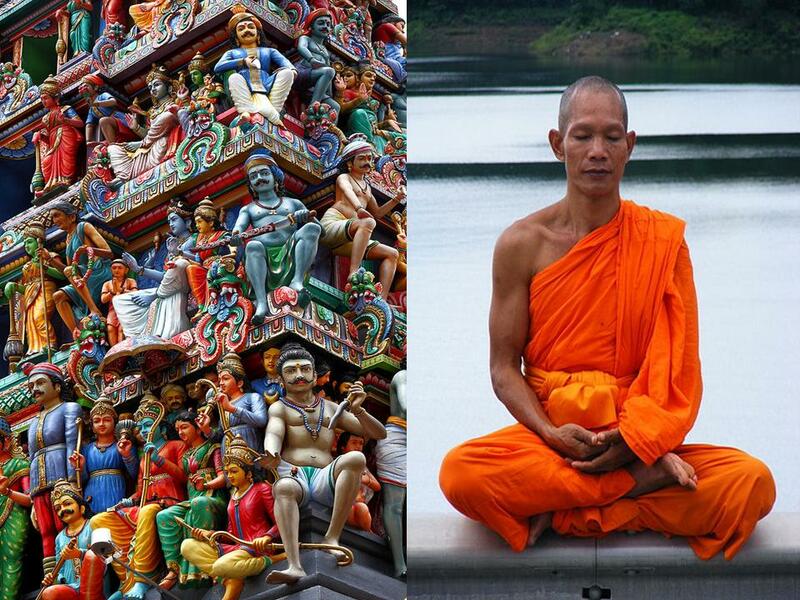 I received an invitation from Anne to take part in her blog challenge, of finding two similar pictures. Why did I choose these two and how do you think they discuss the text above? "Sleep with one eye open" was the quickly emailed advice from my Dad the night before Jake, my internet procured van driver, turned up on my doorstep along with my younger brother. Of course, when Jake and Martin actually turned up, all of Jake's mates were furiously emailing and texting, worried that he'd arrived in Stuttgart and had his liver and kidneys taken out. Ah, you gotta just love the way that television and general overhyped media resources have created such a nervous world. My adventure did have its ups and downs, more because a jinn attached itself to my journey, probably attracted by all the worrying family members and friends. He, the jinn that is, decided to infiltrate my bank account and managed to stop it from working on the very day I was leaving. Despite frantic calls to the bank at 9am on Saturday, being able to view my money but not touch it, it was a no-go and all information given by the call centre pointed to an apology on Monday (which I got but seriously, it doesn't help to know that technical problems happen). I was worried and stressed out enough that day, already nervous about packing up my whole life and cancelling numerous jobs and contacts and saying goodbye to students and friends and throwing out garbage bag after garbage bag of stuff not needed anymore... and trying to fit the rest of nigh-on 7 years into one van. I recounted and recounted the pounds and Euros I'd taken out during the week, crossed my fingers that my budget based on GoogleMaps information was correct. The jinn, you see, he'd also managed to persuade a neighbour to park his Ford 4x4 in front of the van, thus blocking the driveway. Manic calls at 2am put me in touch with the efficient German police who promised to tow it away if they couldn't contact the owners. They turned up bleary eyed and in their pyjamas, leaving us an hour off-schedule. Jake tapped on some keys on the GPS which then prompted "Do you want to avoid tolls?" We clicked no - we had to try and make the ferry in time - we left, speeding away through Germany and into France. Sure enough, it was a badly clicked decision, as French toll after toll after toll ate away at those Euros in my pocket, in trickles of €3, €6, €24, €36 and thus, fearing not having enough to pay the final toll... a quick math calculation at the last gas station on the European side to get us just enough until we were in Ole Blighty, proved to be our undoing... 10 minutes away from Calais, 25 minutes away from our afternoon ferry, we wound up with the van parked on the side of the road and a whopping bill to pay for. No gas. and thus, I didn't even have a credit card to take care of the breakdown on the side of the road. It took some persuasion and desperation to convince the French-uber-expensive-fix it man (€186) to take the British currency. He huffed, he puffed. It's money. Finally, after paying a fine for missing the right ferry and making our way through the south of the UK with nary a pee-stop, we got here around 10 in the evening and were met by my friendly landlord who'd brought round bread, tea and cookies in case we were hungry. And so, oh-my-god, I am here. 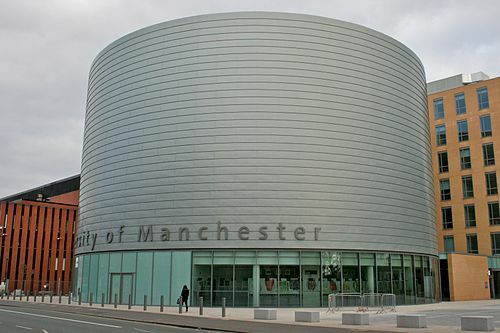 In Manchester, in a super-super-super friendly city where people talk to me for absolutely no reason. I am sharing a flat with lovely young postgraduates who, so far, don't mind/know that I'm an old lady. I am sleeping on the floor because I was outbid on e-bay on the bed I wanted. There are still boxes which haven't been opened and unpacked yet. I've met my tutors and some of the onsite participants and they're all very friendly and interesting. I'm also looking forward to hooking up with the off-site distance folk. The University is amazing, the library is wonderful (although lots of the books I want are on one-week-only-loans so will have to reach deep into the coffers to purchase some). I have a student card and can get cheap tickets to movies and stuff. Yippeeee! Lars von Trier here I come. My course modules look RIDICULOUSLY UBER COOL (for an edtech tesol geek like me) and it's hard to decide for sure which ones to do, but I've worked out a good plan for the next two years and I am ridiculously, ridiculously excited to learn. So, tomorrow, at the age of 42, wearing jeans which have already been laid out plus brand-new-shiny polished up DrMartens, me, after 15+ years in the classroom, I shall be walking in not as teacher but as learner. p.s. Thanks Anne Hodgson for introducing me to MyHammer! p.p.s nervous as all get-out, so wish me luck! Personally, I don't agree and I really don't think that extensive worksheets provide a particularly authentic experience - such a thing mainly just erodes the power of the message within the video, takes away the inherent pleasure in learning from TED speakers. I'm fond of using TED with my adult language learners (+ similar sites - see here for a list of others) for the ingenuity and its realistic relevance and because I know that whenever I visit TED I'll always find short, topical talks which can be used to kick-off real discussions within my classroom: stuff my adult students want to know and talk more about... speeches that will either captivate their interest or through understanding, even with lower students at only 50%, will encourage them to feel a greater motivation about where their English is going. 1. Prediction: what's the video going to be about? Using the search bar function on TED, choose an interesting video (possibly related to the industry your students are currently working in) and then tell your students that they are going to watch a video with xyz talking about abc. Ask them what they think the speaker will be discussing and why they think this. Do they have any pre-formed opinions on the subject matter? After watching, get them to talk about whether or not the video met their expectations. Why, why not? Give students a piece of paper with the numbers 1 - 10 written on it. While watching, any video you've chosen, ask them to write ten words they found most interesting / or ten words they didn't understand / or ten words which they think would summarize the story. After watching, encourage students to share the words they've collected and to tell each other why these words were the ones they recorded. While browsing TED, look for a video which the community has marked as persuasive. Show the video and ask your students what the main points discussed in the video were. Ask them to choose sides on these - to take an opposing view from others in the classroom and to debate it. Ask students to pretend that they are journalists at a TED talk. Watch one of videos marked as informative and get them to write down questions while-watching and post-viewing. Get one student to pretend to be the TED speaker, and encourage him/her to sit in the center of the classroom (aim to pick a student who's most likely to know about the ESP subject matter) and then get the other students to read out and ask their questions. Tell students to analyze a 3- 6 minute speech: to think about the presenter's style of delivery and ask them to write pluses and minuses, things like: she spoke too quickly; she flaps her hands about; she loves her subject material; she used good slides. Choose two very short videos on similar subjects less than 4 minutes (or use the first few minutes of a longer video) and turn these on without using sound. Ask your students to pay attention to the speakers' body language and facial expressions while giving their talks and to compare these. How many times do they move around the stage? How do they stand, where do they keep their hands? Who looks more convinced and thus convincing? After this discussion, play the videos again with sound, do they still think the same way? What role does body language play in the audience's reception of the content of a talk? Show the video you've (or one of your students') chosen and tell them they shouldn't write anything down while they're watching. After the video is finished, ask students to sit in groups and discuss what they watched, who was the presenter, why did she make this speech, how effective was it: encourage them to ask each other questions and share opinions. Works with any TED video. 7. Critical Thinking - Who's the target audience? Take one of the videos marked as most-emailed and watch it with your students. Show or tell them that out of the thousands of videos on the site, this was one of the most-shared with others via email and social networks. Ask them to think about what sort of people found this video so interesting they sent it on to family members/ friends/ co-workers/ members of their online communities. Was the speech designed to go viral? Will they send it on too? Why or why not? Get them to practice writing a "FB status update or a Tweet" summarizing the video in less that 140 characters! 8. Will this idea fly? 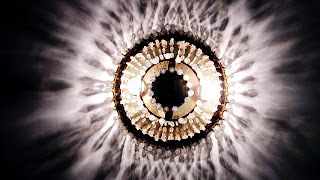 Choose a video marked as ingenious, in a subject matter your students have expressed a clear interest in or is connected to their work. Watch the video with them and then ask them to discuss in groups whether or not they think the idea has merit; if they've already heard of something similar or if they disagree with its potentiality. Review the videos marked as courageous and try to choose a video outside the scope of your students' normal interests and responsibilities. Encourage a group discussion on whether or not, they could have done what was shown in the presentation; how they may have done things differently; who they know in their own lives/ read about who has done something like this? 10. Rank my TED video! Encourage students to find a TED video based on something they are personally interested in. It doesn't need to be about work, it can be a poem/song - it can be about glowing underwater fish! Whatever they like and while they watch - possibly as homework (using the interactive transcripts in their own language if they need to) they can take brief notes about the subject matter. In the next lesson, get students to share with each other what they watched. Encourage them to "rank" each person's suggestion in order of interest and at the end of the session, as a group watch the one that sounded the most fascinating. Have you got any zero-preparation/ great tips to share with fellow English Language Teachers on using TED in the classroom? Do let me know your favorite videos, how you use them or any other ideas and experiences. I also found Adam Simpson's post filled with 3 useful ideas however you'll need to get your vids from TEDtalks on Youtube. 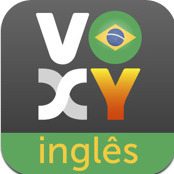 Super excited to relay that in less than a month, Voxy for Portuguese-speaking English-language-learners is the number #1 education app in Brazil and has been downloaded a whopping 30,800 times! Voxy uses web-based and mobile technologies to create a fun, flexible, contextual and convenient learning environment, providing interesting supplementary materials which support the language learning experience. It's free... and all lessons are based on current real-world news stories. Learners have full control over the pacing and frequency of use and simple repetition games ensure students review the words they've encountered within articles they've read. Geo-location based phrases provide relevant expressions they want in the moment they need to use them and camera flashcards help students to stay on top of words they're interested in knowing. How can teachers use Voxy in the classroom? Choose a few words related to one of the articles on the Voxy website and put these up on the board/ IWB. Before reading, ask students to guess what the story might be about. Choose one of the most recent Voxy stories that has been popular in the local media. Before reading, get students to brainstorm the vocabulary which the story may contain. After reading, ask students how many had guessed correctly and what words could also have been added. 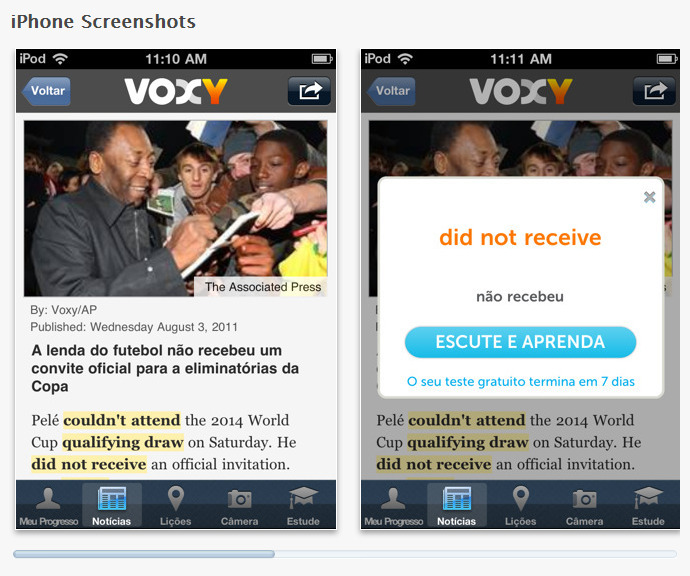 Choose one of the Voxy articles. Ask students to analyze the different tenses used and discuss the reasons why these were chosen. Can they rewrite the story using other tenses? 4. Choose a new picture! Get students to browse through current Voxy stories and to choose one they are most interested in. Can they find a different creative-commons licensed picture to go with this story? Ask them to explain why they prefer the picture they chose. Can they write a better headline for the story they chose? 6. Where in the world? Using a world map in your classroom, encourage students to pin-up printed out Voxy stories which have taken place all over the world. Can they create a timeline and continually update the story as it unfolds or develops? Choose a controversial article and then divide up your class into two teams. Tell one half they believe in one side of an argument and the other half believes something else. Encourage them to debate the issue(s). Get them to practice and role play the various events surrounding the situation in the article. Have you got any other great suggestions on how teachers can use Voxy in their language-learning classrooms? If you've already used Voxy in your classroom - what do your students think of our site?